Encounters’ Gourmet Kitchen welcomes Monica Montoya to our 2018 Edition. Tantalise your appetite – look at Monica’s Lunch Menu for the 5th and 6th May! 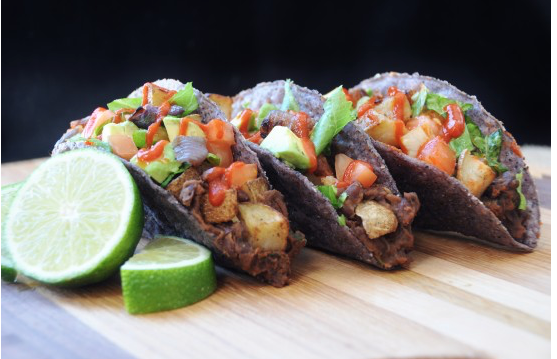 3 Tacos and blue maize tortillas filled with Pork or Mushrooms, marinated with achiote paste, orange and lime juice. Purple onion and chilli garnish: accompanied by refried beans and salad. How can you say “no”?